Bill Cosby said young people should separate what he has to say about their future from sexual assault allegations lodged against him. The actor and comedian was in Alabama to speak with high school students as part of a nonprofit foundation’s campaign to improve education in the south-central part of the state. In a taped interview with ABC’s “Good Morning America,” Cosby was asked how he would respond if a youngster pressed him about accusations that he drugged and sexually assaulted a number of women over a period of decades. Cosby, 77, who has never been criminally charged, didn’t address assault claims made by more than 25 women and has largely maintained his silence since the allegations resurfaced starting last year. He faces two pending suits. He volunteered his time to bring exposure to area schools, Black Belt Community Foundation President Felecia Lucky has said. He was to meet students at Selma High School on Friday before marching with them across the historic Edmund Pettus Bridge. The bridge was the setting for Bloody Sunday in 1965, where police beat peaceful demonstrators marching in favor of voting rights. Sitting with Cosby during the ABC interview, Lucky defended the decision to trade on his fame despite the allegations. “At the end of the day, what is most important is … how do we make sure that the world knows that the Black Belt children matter,” Lucky said. The region is named for its fertile black soil but is stifled by low income and high unemployment. 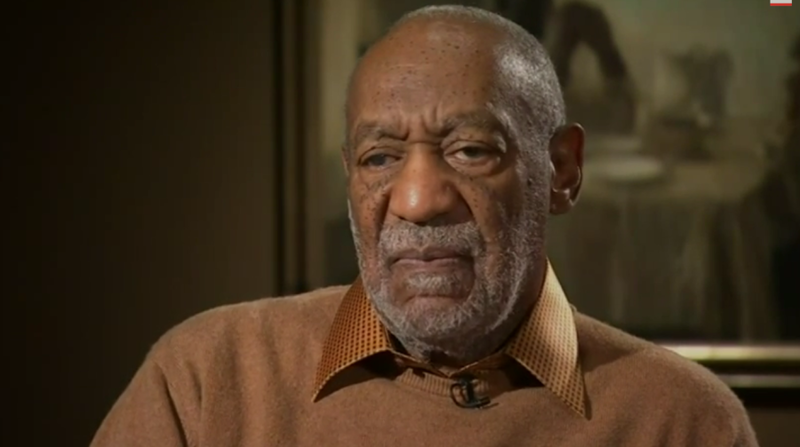 Cosby was asked if he was concerned about his legacy and what he’d like it to be. “I really know about what I’m going to do tomorrow. I have a ton of ideas to put on television about people and their love for each other,” he said. Shortly after the scandal broke last year, NBC decided not to move forward with a planned Cosby sitcom. The star of the influential and popular 1980s family comedy “The Cosby Show,” he has long weighed in on the issues of education and personal responsibility in the African-American community. He and his wife, Camille, have donated millions of dollars in gifts to colleges and hundreds of thousands more for scholarship grants through the couple’s foundation.